Killer Characters: How far would YOU go for your job? How far would YOU go for your job? If you're reading this letter, it's probably because you're not actually speaking to me and that could be because you're too busy muttering prayers, lighting candles, and saying the rosary, all in an effort to save my soul. Or it could be because you're just throwing up your hands and giving up on saving my soul. And I know either of these scenarios stem from you being convinced that all my Catholic upbringing went out the window when I became a PI. No, Mami, it didn't, pero I know you don't believe me. 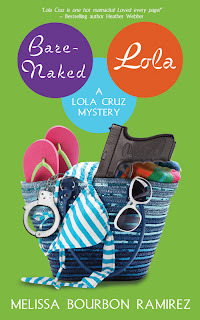 Did I take it all off at Cuerpo y Alma in order to get to the truth for my new case? I don't think you really want to know the truth, Mama, so let's just leave it at this: You raised a good girl, and no matter what I do, your voice is always in the back of my head saying, "Hijo de la chingada, what kind of daughter did I raise?" And it always makes me stop and think. I don't think you can ask for more than that, Mami, do you? Tell you what, I'll ask my friends. People, digame... is your mother's voice always in the back of your head? And does it stop you from doing your job? 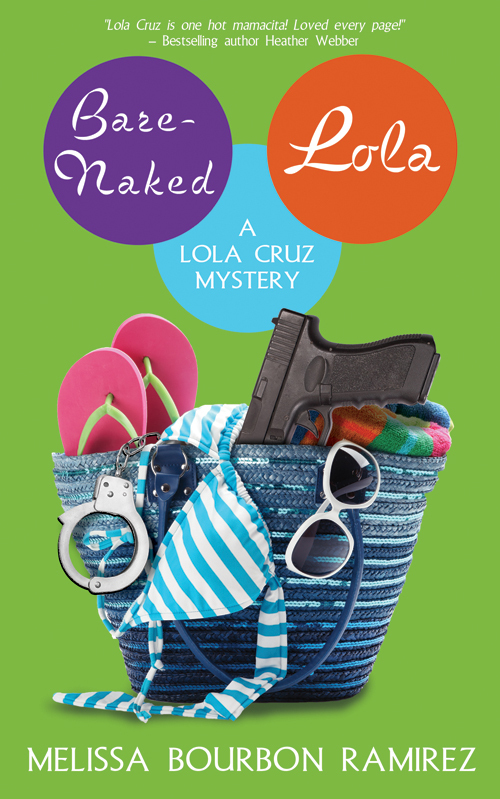 Find out more about Lola Cruz, Cuerpo y Alma (a nudist resort where Lola's latest case takes her), and Bare-Naked Lola at MelissaBourbon.com! Good heavens, yes! It's universal. "You're not going out like that are you?" "How will you catch a man if you don't lose weight? Here, have this last slice of cake." And when I'm out with Wolf, I know she's saying prayers that a marriage will take place soon. Those good Catholic moms, worried about their innocent daughters, when they should have worried about their sons. Oh yes, always there, sometimes more than I want it to be...but it really does make me think twice before acting :-) Good luck to you!